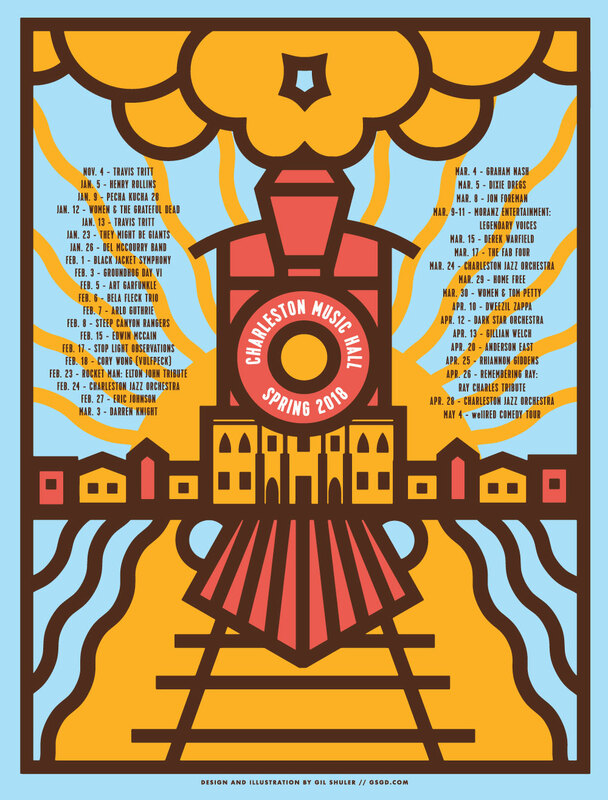 Proud as hell to be asked by charles and the good folks at the Charleston Music Hall to design their spring 2018 poster. this is a 3 color silkscreen on french pop tones sno cone blue printed by the delightful seth deitch. they are for sale at the music hall. right on!